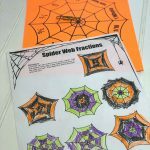 I love holiday learning ideas and with Halloween heading our way, I thought a little Halloween math would be fun! 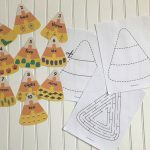 This week we made some paper place candy corn fractions. These are simple to make and a great project for kids to do. My kids always love painting. Crayons or markers would work, too if you want to curb the mess, though. 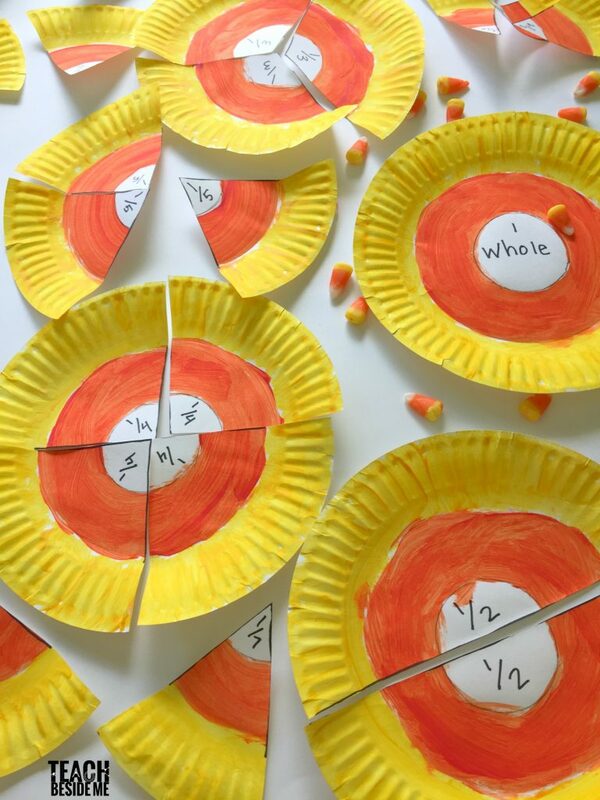 We used 10 white paper plates to make these candy corn fractions. I started by tracing a small circle in the center of the plate. This is the white section of the candy corn. 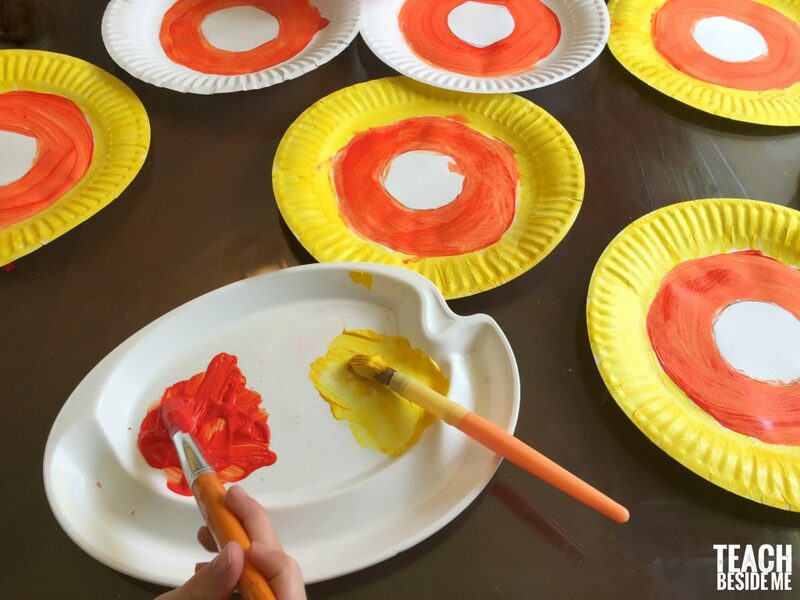 The second circle for the orange paint is the natural line on the plate. Then we painted the plates with tempera paint! 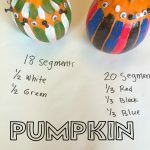 To match the candy corn, the outside circle is painted yellow, the next circle is orange and the small one in the center stays white. Once the plates are dry, we drew on the fraction sections. 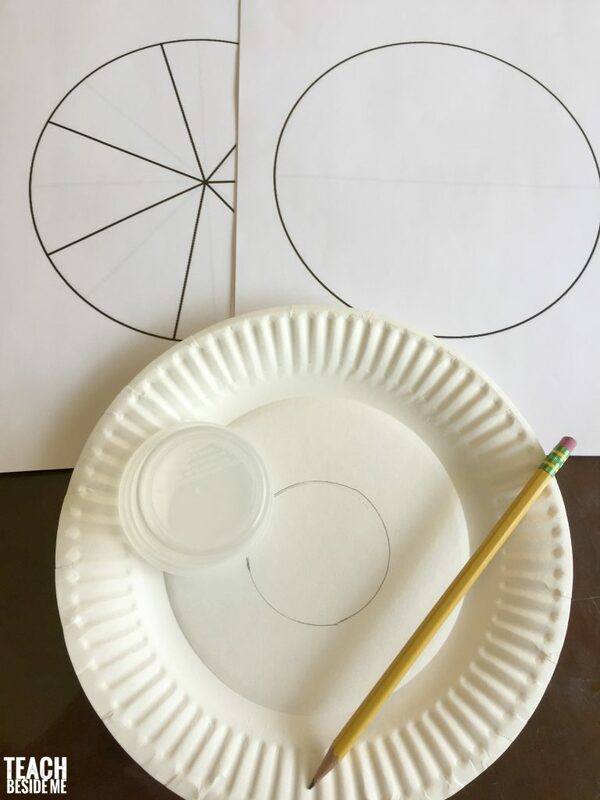 I used my fraction pie circle template to make our fractions. It is free in my subscriber library if you need it! I just held it up to a window and traced it over the top with a black sharpie marker. Once you have the fraction pieces labeled, we cut the plates apart. Then you can play fraction matching games or use them however you want to play and learn fractions! Want more fraction learning ideas? 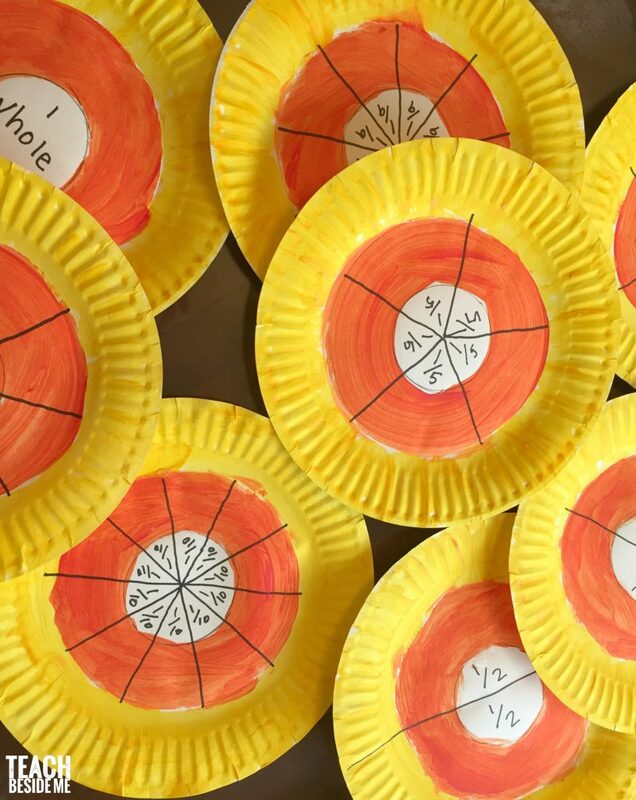 Check out my post on Fun Way to Teach Kids Fractions. 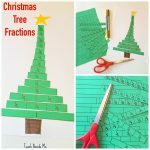 I have TONS of different fraction learning ideas in there! 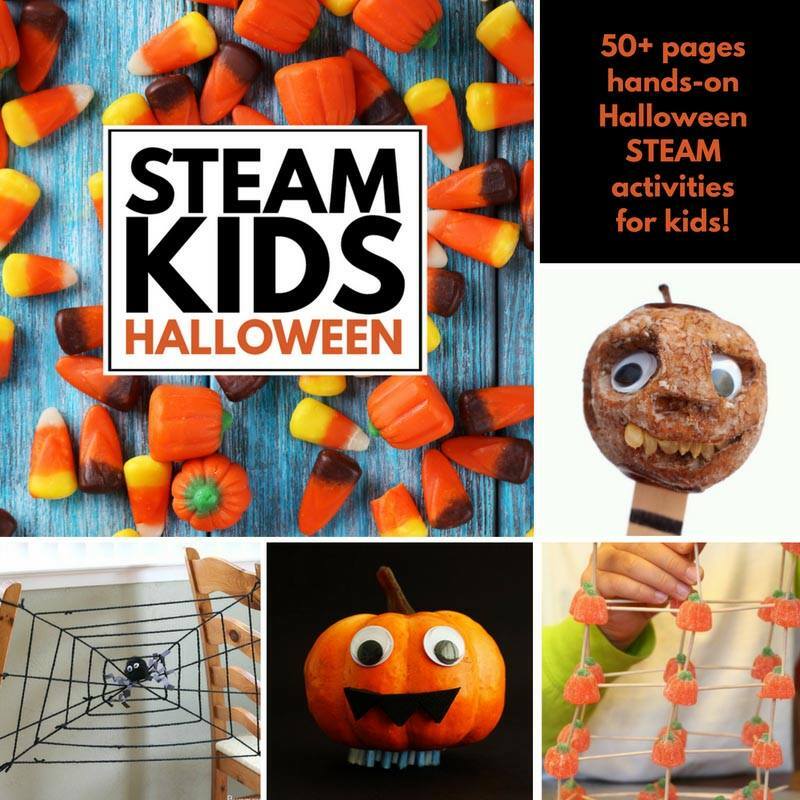 Also, be sure to check out our STEAM Kids Halloween STEAM Kids Halloween book! Want access to the subscriber library? Subscribe in the box below and check your email for details on logging in to get the fraction circles for free. If you are already a subscriber, no need to re-subscribe, the log-in details are in the weekly emails I send out! Hi, love this activity! I’m looking for the fraction pie template in the subscriber library and I’m not seeing it, is it labeled something else? Thanks!